Pope Francis has reminded believers that Jesus’ love is infinite and true, unlike worldly passions that seek power and vanity. 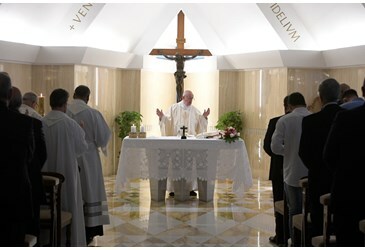 The Pope was speaking during Mass at the Casa Santa Marta during which he pointed out that the Christian mission is to give joy and that God’s love is at the core of a true Christian’s life. “As the Father loves me, so I also love you” said Pope Francis quoting from the Gospel reading of the day to highlight the fact that the Lord’s love is infinite. Jesus’s commandments, the Pope said, cover a very wide spectrum, but the core is one: “the love of the Father for Him, and His love for us”. “There are other loves. The world itself offers many other loves: love of money for example, vanity, boastfulness, pride, love of power which can even lead to unjust actions to achieve more power…” he said. These loves, he continued, have nothing to do with the love of Jesus or of the Father. In fact these loves distance us from Jesus’s love. 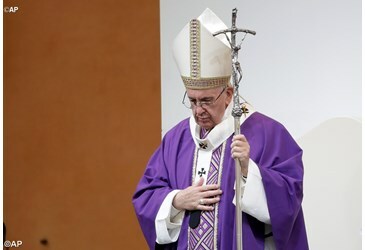 The Pope said that if we follow the “commandments that Jesus has given us” we will remain in Jesus’ love and in the infinite love of the Father “which is the same thing”. 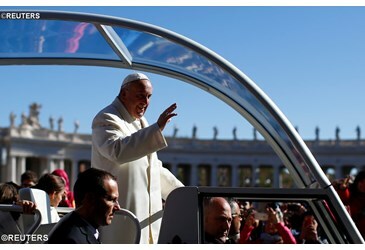 Perhaps the Pope said “we may ask: why do you remind us of this? Because the Lord’s joy is in you and your joy must be complete.” So, he said, “Jesus teaches us the way of love, of having an open heart, of loving without measure, putting other kinds of love aside”. “Love and joy are gifts we must ask the Lord for” he said and he told the story of a priest who was recently appointed a bishop. 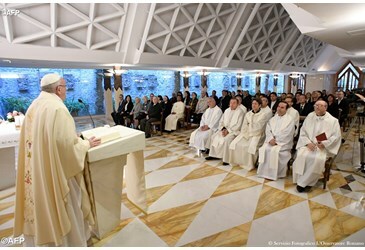 We Christians, the Pope concluded – lay people, priests, consecrated, bishops – must give joy to the people; on the path to infinite love our Christian mission is to give people joy”. Peace must be built on justice, on integral human development, on respect for human rights, on the protection of creation.